#ROHtraviata The talent of Castronovo and Domingo are beyond every possible experience, their strong voices and wonderful acting make my heart takes flight every second I listen to them. Congratulations from Italy! Will we ever realise what Mr Domingo has done for and brings to Opera ? Ermonela Jaho has broken my heart! ???????? #ROHTraviata #Frankfurt @TheRoyalOpera @ROHchorus please send popcorn for a speedy recovery ???? 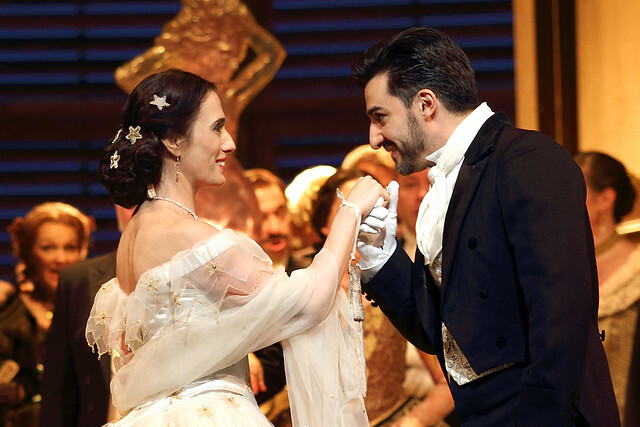 What did you think of La traviata live in cinemas? Share your thoughts via the comments below, or by using #ROHtraviata. The next live cinema relay of the 2018/19 Season is Don Quixote on 19 February 2019. Find your nearest cinema and sign up to our mailing list. Encore screenings of La traviata take place at select venues in the coming weeks. Fantastique,tout simplement extraordinaire de pouvoir assister à un tel événement dans cette petite ville du Vaucluse. Et qu'elle voix,la distribution était également à la hauteur. Absolutely wonderful...we are drained. What an experience! The comments made me cry all over again . Thank you for a marvelous performance! Fabulous, we loved it. Thank goodness for ROH Live bringing such spectacular performances to a wide audience. Ermonela Jaho was simply superb! This was the first time I have seen and heard her and she blew me away ! She looked as though she had given 110% when she took the first curtain call - amazing woman! Placido Domingo and Charles Castronova were also brilliant - how lucky were we to be able to see such incredible performances at our local cinema - the Phoenix in East Finchley. Most sublime and exquisite performance. I was totally absorbed in the real passions, heartache and tragedy. Such humanity from all the great artistes. Unbelievable standard. Mesmerising performances. Reduced to tears by Ermonela. Thank you for bringing it up the provinces. About 150 at Portsmouth. Wonderful, just wonderful. I watched in a Bedford cinema and it was the fullest I've ever seen. I was howling at the love declarations, Placido's horror at what he'd done and still have to keep brushing my eyes an hour after I got home! Saw La Traviata in Berlin at the Deutsche Oper,30 years ago, but didn't` feel as emotionally drained as this ROH production. Bravo Ermonela,my husband has lost his heart to you! Brilliant! Stunning performances and a wonderful production. A very special evening! Thank you. Superb production, wonderful orchestra with its Maestro and the voices of the main parts simply exquisite, with most of them having to resort to body language, facial expressions and really just being the part, apart from making use of their incredibly potent voices. It was absolutely fabulous. A privilege to hear and see such sincere singing and acting. A production I’ll never forget......just wish I could have been there, the atmosphere use have been buzzing. Please pass on sincere thanks particularly ,of course, to Ermonela, Placido and Charles. Wonderful, just wonderful. I've seen La Traviate on previous occasions, but SAW and heard things tonight that I was never aware of before! The first scene of Act 2 was the finest character portrayal I have ever seen on any Opera stage. It should become compulsory viewing fro any aspiring opera singer. Thank you ROH for gathering together 3 brilliant artists for this ever enduring production. Una maravilla! Todo! Emocionada y feliz! Muchas gracias desde Barcelona/Catalunya. The character portrayal in scene 1 of Act 2, not to mention the singing, was the finest I have ever seen on any opera stage, anywhere. It should be compulsory viewing for all aspiring opera singers of whatever voice. Una maravilla! Una produccion extraordinaria! Emocionada! Muchas gracias desde Barcelona/Catalunya. One of the greatest operas I have ever seen. 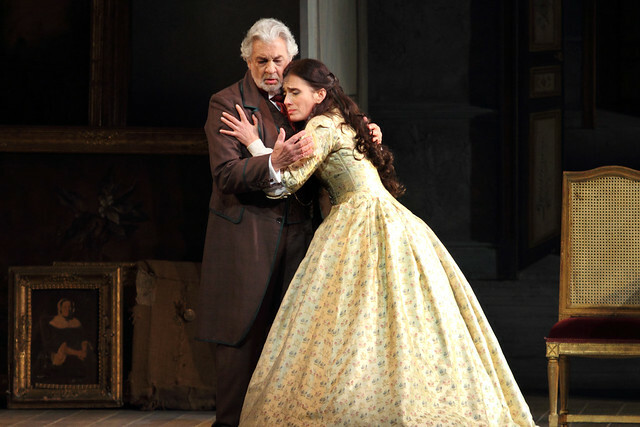 Placido Domingo's voice is still stunning and strong, his performance so elegant, I felt so emotional watching him. Ermonela's voice and performance were out of this world. I am filled with wonder at her abilities. And Charles Castronovo was fabulous in voice and acting too. What a cast, what a production ! So glad I experienced it. Great dramatic performances, but I can't agree about Domingo. I'm sorry, but someone should tell him that it's time to "Leave them wanting more" (not less). OK, he has matchless skill and experience but his performance was too effortful and in my opinion, it showed. In the audience, you relax and enjoy opera when a singer does two things: gives all they can without reserve, and is entirely comfortable with the notes and in the role. He pretty well did the first but not the second. Otherwise, a superb show tonight. Sorry, Jenny, but I totally disagree. Domingo was quite sublime in the part. I have seen him live many times over the years, and, at 78 years of age, he is utterly extraordinary! His performance, both vocally and acting-wise, will stay with me to my dying day, and I am not one to over egg my reactions. Jaho was also sublime in acts 2 and 3, though she seemed to lack heft in the voice in the Sempre libera. I love this production though, and would return for a repeat again and again if I could. Bravissimo! I fell in love with theatre and opera as a teenager. Tonight was the first time I have ever watched the live streaming of a theatrical event at the cinema, and it was this opera. It was a stunning, incandescent and beautiful experience. I think I will be going to a lot more live screenings of theatre events like this in future. How brilliant to make great theatrical productions that are out of the price range of most people available at our local cinema for a fraction of the cost! Thank you ROH and everyone else involved. The recent broadcast was great.. except for one thing - in Moscow (Karo 10 "October" cinema) the loudness was obviously lower than in the theatre, i.e. the whole impression degraded. Would appreciate if a certain sound loudness level is maintained. Thank you for bringing this to our attention, we will be working to ensure that this issue does not arise again. It must be the best Traviata cast ever! Emotionally draining but so very moving. I would love to watch it all over again. Thanks to the incredible Ermonela Jaho, the wonderful Placido Domingo and the superb Charles Castronovo for a night of sublime music. The audience in Swansea were spellbound. Diolch yn fawr. Absolutely brilliant production and performances. However, In Ashton-under-Lyne Cineworld the experience was spoilt by frequent inerruptions to the sound (and, sometimes, the video). 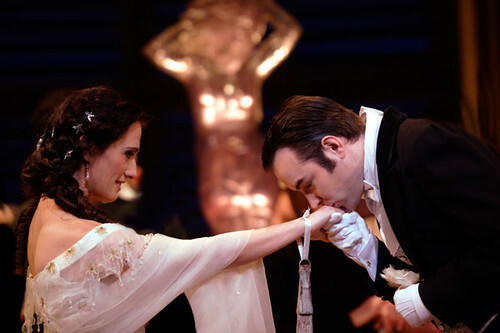 Thank you for getting in touch about last night's transmission of 'La Traviata'. It is great to hear that you enjoyed the production, and we are sorry to hear about the interruptions. We will follow this up the venue concerned to find out the cause of the issues and, hopefully, prevent them from occurring again. Thank you to everyone who made it possible for me to have the privilege of seeing this magnificent performance in my local cimema. In nearly five decades of following opera, many wonderful performances, I don't believe anything has ever come close to matching last night's Traviata. No words could possibly do it justice, no superlative adequate for Ermonela Jaho's staggering Violetta. All thoughts of going to the Met Carmen on Saturday are gone, it's got to be an Ermonela encore! I'm sorry to hear that this happened, we are working with the cinema to ensure that this issue does not arise again. Have since La Traviata at least a dozen times... I doubt I shall ever, in my lifetime, see the likes of the performance I saw last night, ever again! To say it was “sublime” is insufficient... Be still me heart.. What incredible performances from all and how beautiful was Domingo’s Germont: not only his voice but his purposeful movements...I could see his soul from the Amphitheatre! Wow!!! There are not enough superlatives to describe Ermonella Jaho's performance as Violetta. She was simply divine, the best I have ever seen and I have seen many Violettas. When singing quietly she was particularly beautiful and so emotional. It is not surprising that she and the entire audience were emotionally drained at the end. Brilliant. The rest were good but not outstanding. Even Placido Domingo was croaky when he first appeared in Act 2 but then thank goodness he recovered and became somewhere near his best. It may be sacrilege to say so but I think perhaps he should retire now while still - just - at the top and not spoil our wonderful 50 years worth of memories of his best performances. In any case the role of Germont is better sung by a bass and not by a baritone as Placido Domingo now is. The setting is also now tired and should be updated and as for the Spanish dancers in Act 2 - forget them. Hopeless. The Royal Ballet can and should put on a 100% better show than this. Ermonela Jaho carried the show, without her the show would have been good but not the best. But I will remember her for long time and hope to see and hear her again and again. Just loved the whole production. So moving and indeed draining. This performance was superb. Rather sad to see so few people at the Showcase Cinema in Southampton though. I was lucky enough to be at the iconic premier of this production in 1994 when Angela Ghiorghiu became an international sensation overnight and I've seen umpteen revivals since, but this was unquestionably the best version BY FAR apart from Domingo's misjudged and insecure baritonal vocalising as Germont père. The rest of the cast was uniformly excellent, Charles Castronovo one of the best Alfredos in my experience. Ermonela Jaho was simply sensational, even if the voice itself & technique could perhaps yield to some others. Crucially though, she simply tore one's heart out! A night to treasure for a lifetime! Absolutely outstanding, especially Ermonela Jaho! I can't think of words powerful enough to describe how marvellous it was. Felt exhausted at the end; I was right in there with the cast. First time I've 'been' to an opera and will definitely go again. Just sensational. The best La Traviata I have seen. Ermonela Jaho is surely the undisputed best Violetta in the world right now, a simply mesmeric and emotionally wrought performance that had me in tears. I have in the past been disappointed with Alfredo who can come across as a bit wet but Charles Castronovo brought an inner strength to the role and his chemistry with Ermonela was just beautiful to watch, a more convincing couple I have yet to see. Also great to see Placido Domingo great patrician performance as Germont, a role for which he is perfectly suited as the years have rolled on. It was an utter delight from beginning to end, just wonderful. So disappointed we were unable to view La Traviata production last night at Poole Cinema as they were unable to connect with the transmission relayed from the Royal Opera House. I hope this will not happen again!! Thank you for getting in touch. We are sorry to hear that the screening you attended was unable to receive the live transmission. I was at Cineworld Eastbourne and we all remarked that the volume seemed somewhat muted. It was definitely fainter than for other productions. I too saw the premiere at Covent Garden all those years ago and love the production. Yahoo's voice was a little thinner than Gheorghiu's but her acting was very moving. What a fantastic production and such an emotional experience. Amazing portrayal of Violetta by Ermonela Jaho and Charles Castronovo sang to the heart! One of the best performances I have ever seen. What more can I add ? Sublime. Having been in tears in The House last night, I can't wait to see an Encore performance. It was that good. Best I've seen in years by Domingo. Jaho was perfection. Absolutely wonderful performances all round. Magical evening from start to finish. Wonderfull experience! Thank you for the whole cast for this unforgetabble evening. Greetings from Novi Sad. Truly enjoyed the performance relayed to The Odeon, Belfast last night. 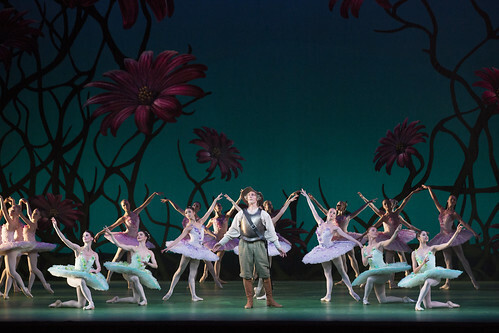 The only disappointment, not being able to be there in person at The Royal Opera House. A heartfelt well done to all involved. A truly amazing production that was over far too quickly. I wish I could see it all over again tonight! What a wonderful performance by all involved especially the three main characters who were magnificent. I am finding it difficult to add anything to the comments above but to say that this was the best La Traviata I have ever seen. Mostly thanks to the incomparable Ermonela Jaho whose performance made Violetta into a real believable person. Jaho was not acting, she was. What a privilege it was to see last nights performance of La Traviata at our local cinema in Littlehampton. It was a fantastic production and such an emotional experience. Amazing portrayal of Violetta by Ermonela Jaho, she had us crying with her, and Charles Castronovo and Placido Domingo were excellent too. The best performances we have ever seen. Thank you so much ROH. I too thought this was an outstanding performance, but I'm glad that I'm not alone in having reservations about Domingo. Whatever anyone may say, he is a tenor singing baritone roles and I agree with Jenny Birchett and others (above). He should retire and concentrate on his conducting. For me, Germont HAS to be a proper baritone, and Domingo isn't that. Of course he has been one of the greatest opera singers of our time, which makes it a pity that he seems to want to go for ever. Also, I thought it very discourteous to the magnificent Charles Casronovo that Domingo took his curtain call before him. Everything has been said by others about Jaho, so let me sing the praises of the orchestra and their conductor. They were absolutely wonderful. I heard things in the orchestra that I've never heard before. Let's hope this production lasts for at least as long as the great Boheme that was recently cast aside for a much inferior staging. Why must we always have new productions when the former ones have acquired almost legendary status? Just to add to the comments about sound level and interruptions. We also experienced these in the introduction and for the first 10 minutes of the live performance the sound was very low compared to in a theatre. We were at the Cineworld at the Valley in Bolton. Nevertheless we shall remember an amazing evening. Thank you ROH. For me, Ermonela Jaho was Violetta. Outwardly, in every gesture, look and sound, inwardly through a depth of feeling I am still reeling from. The duet with Placido Domingo and the desperate and understandable force of his persuasive manipulation was gut wrenching. The tiny scintilla of doubt in his own actions that he also managed to convey whilst following the path of duty his position seemed to demand moved the tragic into a universal sphere. Contrast this with the sound of his full open honesty in the final scene. The apparent one percent lack of conviction in the earlier scene made such sense. All the emotions of the story are prefigured in Verdi's score and in this performance and in the playing the music came totally to life. Wonderful direction, wonderful playing, wonderful singing, wonderful evening, I'm still living with it. Still tingling. Wonderful evening, but in Dover, there was intermittent picture break up and thus loss of sound. Wonderful performance by all the artists, Ermonela Jaho was fantastic, she gave the final act all she had, she looked absolutely shot at the finale, .. thought she was about to collapse . Pity the cinema (Solihull Cineworld) was only half full, many people missed a magical night out due to lack of advertising, Many people I have spoken to today hadn't heard about the performance, shame! The production, including the acting, beautiful voices, emotion, costumes and scenery were brilliant and the stage was set for a wonderful evening. In our favourite mini cinema in Derbyshire laughing and sighing filled the air as the many flashing blank screens throughout interrupted the phrasing and story line. Sub-titles almost not worth bothering with. The finale was spoilt by the last chords disappearing from sound and screen hence more derision from our audience. Not a fitting conclusion for the emotional work put in by the whole cast and superb soloists. We hope the ROH will put serious thought into producing excellence for audiences watching their streamed productions. I'd never seen La Traviata but was totally transfixed from the opening scene. The staging and cast were outstanding and Ermonela Jaho's performance was beautifully tragic and completely believable. Her 'Cio-Cio San' was heartbreaking but this was something else! I was exhausted at the end - heaven knows how Ermonela felt. I love 'Butterfly' for it's angst and 'Carmen' for it's sass, and 'Traviata' has both - definitely my new favourite. I want to see it again - now! The cinema relays are such a brilliant idea - saves a tiring trip up to London and you get the best seats in the house. The only downside is that you can't show your appreciation to the artistes with applause, but I'm sure they know that we love them! Like many of the commentators above I have attended operatic performances for over 50 years. Last nights interpretation of Violetta by Ermonela Jaho was the finest that I have ever heard. Her ability to convey the mental torment of her situation combined with with superb vocal technique and sensitivity made this a truly memorable occasion. Seen in the cinema in Newcastle under Lyme. I hadn't listened to Castronovo before... what a discovery! And maestro Domingo... maybe not his best night but, as we say in Spanish, "¡qué tablas tiene!" We saw La Traviata at Wirksworth Cinema on Wednesday and were very disappointed in the sub titles which were useless and the breaks in transmission were even worse. The overall feeling was one of great sadness that such a good production was ruined. Have seen many Traviatas over the years, but for me this one had to be the best yet. Ermolina Jaho was extraordinary, what a voice, what talent. Placido Domingo was fantastic (amazingly strong voice for a 78 year old.). Wonderful production. Thanks to all concerned. Watched this in el Puerto de Santa Maria, Spain. 2 cinemas packed to the rafters. Bubbly and tapas in the intermission all included in the 13 euro ticket, what value. Simply brilliant! I'd never seen La Traviata before and was totally transfixed from the opening scene. The cast were outstanding, their characters completely believable and Ermonela Jaho is mesmerising - how can you sing when you're crying?! Her Cio-Cio-San was heartbreaking but this was something else. I was exhausted by the end - heaven knows how Ermonela felt... These live relays are such a great idea - saves a tiring trip up to London and you get the best seats in the house! The only downside is that you cannot show your appreciation of the artistes through applause, so consider this my 'standing ovation'. Congratulations and thank you for a beautiful production. A wonderful experience. Not sure about the beginning of Act 1 but from there on superb. Loved Placido Domingo's portrayal of G Germont, so nuanced and heartfelt. A true Maestro and a privilege to watch him again. Too bad our viewing experience was spoiled by lengthy loss of visual connection in Vue Cinema Ashbourne, Dublin. A shame. Thanks for your feedback. We are glad to hear you enjoyed the performance, and are sorry to hear about the technical issues you experienced. We will investigate this with the venue concerned in order to prevent such problems from occurring again. Watched this wonderful production at Sture Biograf in Stockholm. Loved the Richard Eyre staging, the costumes and of course above all the matchless Jaho. I had never heard Castronovo before but I thought he had a wonderful voice and was dramatically very strong. Domingo is just so wonderful. What presence, what acting skill, just a little disapponted when he first started singing but he soon recovered. Sadly the cinema lost the sound and vision before the final act so we jumped from the gambling scene to seeing Violetta close to death, which was a great pity. However, a huge thank you to everyone involved that we can see live relays like this in the cinema. Absolutely stunning production, by far the best I have ever seen. I was moved to tears by the superb performance of Ermonela Jaho. The variety of her singing and the way she portrayed the complexity of her character and the story could not be bettered. I was also moved by the chemistry between her and Charles Castronovo. The excellent direction, and the wonderfully subtle conducting by Antonello Manacorda meant that every nuance of this opera came through. I confess I was a tad disappointed by Placido Domingo but only because he fell a little sort of the high standards achieved by his fellow soloists. I shall always remember this performance! Just to add that like some other contributors have said, our cinema (Solihull) had some problems with sound and picture at the start. Happily the problems did not recur. I was surprised the cinema was not full. Thank you for giving everybody the opportunity to express their impressions. I have seen quite a few Traviatas, almost all the time by famous singers, orchestras, directors, etc. And so was the last performance here at the ROH. However, I cannot understand and do not agree to the last acts stage design at all. I was shocked at all the blood everywhere! It reminds me of a school performance (the more red the better..). When and where are we here? Don't we all know that Violetta is dying from tuberculosis? Do we need to see the blood splashed allover? I am really perplexed at the fact that there is no better way to display the sorrow and the pain of a dying person. Reminding all, we are not in "Salome" or "Electra", nor are we watching "Judith and Holofernes". Please, any other opinions are welcome. Watched in Innsbruck. The whole audience was utterly spellbound. Ermonela, Placido and Charlie were magnificent!! Have rarely been so moved by opera. Malheureusement 'la retransmission au cinéma CGR de Troyes a être catastrophique,couleurs baveuses ,décalage des images. An incredible performance by Ermonela Jaho. Please tell us if there will be a DVD version of this spectacular opera and is there an encore performance? Best opera production I've ever seen (and I'm a 72 year old professional musician)! A really wonderful performance was ruined for me by such faulty sound reproduction. Sometimes the orchestra was so loud it was impossible to hear the singers. The "extra interviews" were held behind the stage curtains and people walking past, plus the audience noise before the commencement of The Opera, and during the intervals drowned out the voices of those in the interviews. I have heard other interviews behind the scenes, placed on a quiet balcony so that background noise was minimal. Arts to every one of us. Our screening was held for the first time,in Golspie Primary School's Community Theatre, Sutherland, Scotland and we hope to make these screenings a regular part of the children's and the community's Arts and Education future experience. Please give it the quality it deserves. I have been fortunate to live most of my life in and around London and to have been able to see Opera at Covent Garden "for real" and this screening fell well below what YOU experienced on 30.1.2019. All best wishes for your next "Film Live." I loved it - knew your absolutely beautiful production from 2015, and now, with Maestro Domingo as the patriarch Germont - sublime and absolutely believable in his role, wonderful Violetta Ermonela Jaho who gave everything on stage and Charles Castronovo as Alfredo - it was a sensational performance! Bravi tutti!!! I hope you are thinking about making a DVD!!! - watched together with my parents, daughter an son-in-law at cinema in Memmingen, Bavaria. A visual and vocal treat which l will never forget. Desperately sorry to have missed this transmission. When and where are the encore screenings please? Hope you can find a screening near you! My friend and I saw La Traviata yesterday at the cinema and we thought it was the most wonderful production we have ever seen. Ermonela Jaho was A magnificent VioletTA, and although the rest of the cast were superb, Ermonela tugged at the heart strings and we felt every emotion she expressed. At the end we both felt drained as we lived her pain with her. Extremely well done ROH. It was brilliant. I’ve seen this production over the years. The whole performance was so good, but Violeta (Ermonela) in the final scene was the most brilliant I have ever seen - the combined singing and acting was so convincing it bordered on unbearable! As always, it was absolutely superb and live screening now has another new fan, in an 80 year old Italian lady, for whom it was the first, but definitely not the last time. Please, please, please could there be an annual celebration of previous productions as per last December? It was a brilliant idea, which I do hope can be repeated. Tickets made great Christmas treats and it was a wonderful opportunity to see (again) superb productions and introduce youngsters to opera and ballet. Unfortunately my granddaughter was unable to see Otello, due to the drone flight problems and was furious to have missed it and had to make do with Tosca the next evening! Looking forward to what the 19-20 season holds. Thank you so much for these enriching experiences. Absolutely fabulous, couldn't have enjoyed it more, singing and acting by all, superb. Amazing. It wasn't just the performers who were drained at the end of the evening. They took their audience with them Bravo! My partner and I have seen La Traviata, both live and in the cinema, on a number of occasions. This was the best ever. Ermonela Jaho's performance, in particular, was both beautiful and incredibly moving. What an wonderful emotional journey watching the opera from the front row of the stalls with my wife. A performance that will live in our hearts for many years. some time soon, as a "companion" (so to speak) to the same artist's memorable and likewise unique Madam Butterfly ! After I attended the 23/01 performance at the ROH and enjoyed already the encore on 3/2 in a Dutch cinema and have just one wish: a DVD-release to enjoy it over and over. What a marvellous performances and cast. Extraordinaire Traviata, magnifique en tous points. Merci ! 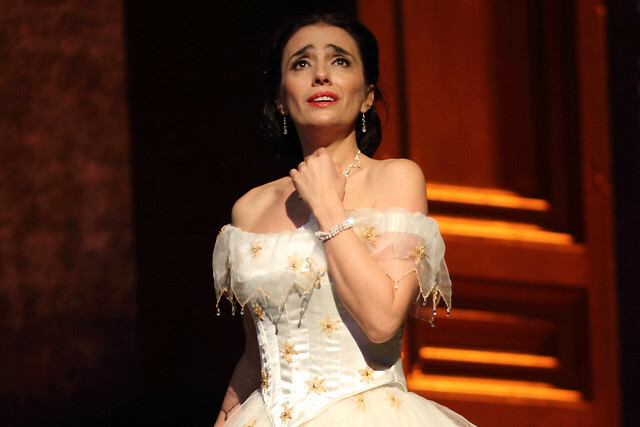 Like countless others I was spellbound by the recent live screening of La Traviata. Ermonela Jaho wassimply breathtaking! Is there going to be a DVD released of this production. PLEASE...!!! Thank you for your feedback. It is a shame to hear that you experienced some technical issues at your local venue during the Don Quixote broadcast. There were no problems with the transmission leaving the ROH yesterday evening so this was likely a local issue. We will follow up with the cinema in question in the hope of preventing this for future screenings. i saw la traviata in a cinema in swords.co dublin.i cannot get over the performance of ermonella jaho.act three was heartbreaking.this woman was violetta down to the tips of her toes.she was absolutely wasted when she came out to take a bow and if i had been there i would have been sorely tempted to dash up with a couple of handkerchiefs to wipe her brow.unforgettable. best ever!!!! made me cry so hard in the cinema!!! We - 3 of 12 of us in Northampton - deeply moved, inspired, elevated and transfixed by 30 Jan 2019 La Traviata from ROH, Covent Garden. Superb magnificent artists at the height of their skills gave us the viewers a sensational evening. So thrilled that I then sent 8 tickets to family to see the ROH Live Transmission on 20 March 2019 of La Traviata at Event Cinemas, Indooroopilly, Brisbane and Toowoomba Strand - a 'First Opera' present to Mum at 103 years old the day before, and a memorable way to celebrate a family gathering at a distance. Manon the Ballet last year was exceptional in every repect. Now enjoyed many ROH Live Transmissions and one from Taormina. Well done ALL - each and every one - involved in these. AND thank you for having the sheet of A4 programme. Lovely touch. Wonderful production! Placido is of course our favorite, but Jako and Castronovo were fenomenal. I cannot express in words my praise for Domingo. The way he still sings! Much time will pass auntil another singer (tenor -baritone like him appears. Excellent . Superb, an emotional experience. The 3 leads had wonderful chemistry.